If you are a financial advisor in the 21st Century, you will most likely be using more than a few software solutions in your practice. The typical financial planner will be running a financial planning software, a CRM, accounting software, and much more. You might be using tools like Box or Dropbox to manage your secure documents, or online meeting schedulers to automate your appointment scheduling. These tools can all work wonders for your practice, but are you spending more time duplicating your data entry? For example, the same client data (name, e-mail, address, etc.) would be needed in multiple systems; your financial planning software, CRM, and accounting software just to name a few. If you have to enter the same data into multiple systems, this takes time AND is prone to typo errors. Some software specific for advisors already have integrations built in to help with data entry. For instance, Wealthbox CRM and eMoney have a built-in integration to help you save time entering the same client information in multiple systems. But, what if you use a different CRM? Or any other software that doesn’t have the integrations you want out of the box? Zapier is an internet-based software program that helps you build integrations and workflows between the various software tools you use in your practice. I’ll give you a real-world example. I use an online scheduling tool called YouCanBook.Me (YCBM) to allow my prospects and clients to book appointments with me while eliminating the annoying back and forth e-mailing looking for times that work for both of us. When a client or prospect wants to book an appointment, they are prompted to fill out some data I ask them for such as name, e-mail, and location. If they are a prospect, I would love to capture that same information in my CRM (Accelo). Since no integration exists between YCBM and my CRM, I use Zapier to easily build an automated workflow. Anytime a new prospect books an appointment with me, it triggers a “Zap” to create a new contact record in my CRM. All the data they entered into the booking form automatically is sent to the CRM saving me time! I’m Not an IT Person, Can I Still Use Zapier? Absolutely! The great thing about Zapier is that it does not require much technical background to operate. You start with two apps or software programs you want to link up and Zapier will walk you through the process. Now, it’s important to note here that not every software tool is going to be available in Zapier. Also, each app in Zapier may have different “triggers” available to you. 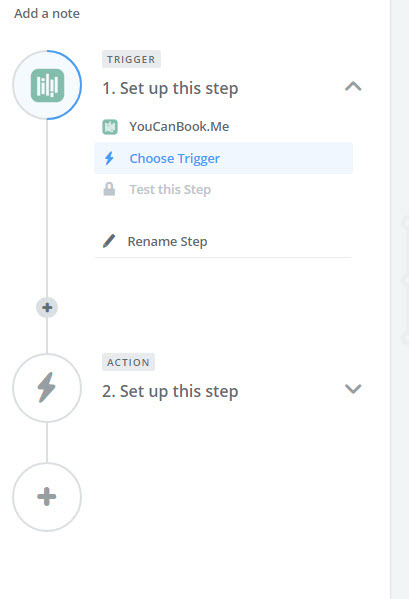 A “trigger” is an action in one app which starts the automated process in Zapier. In my previous example, I used a new booking request to trigger a Zap in Zapier. That action starts the process of creating a new contact in my CRM. Even though you don’t need to be overly tech savvy, you do need to have a vision of what processes you would like to automate. It doesn’t always have to be related to client data. For example, you could use Zapier to automatically create a copy of any attachment you receive in Gmail to Dropbox. Or, you could setup a “Zap” to notify you via text message anytime you have a meeting approaching. Have you already started thinking about ways you can implement Zapier in your practice to save you time?? If you’re still on the fence, here are 5 benefits that utilizing Zapier can bring you. You’ve heard the saying, time is money? This is the number one benefit of using Zapier in your practice. By using the power of technology, you can automate numerous tasks in your business process that would otherwise consume your valuable time. Instead of entering the same data into multiple systems, you can have a computer do it for you in a fraction of a second. Use the time you save to focus on your existing clients or going after prospects. By leveraging Zapier to automate more of your administrative tasks, you can operate a leaner practice. The hours you save on these tasks can rather be spent on tasks you can’t automate. As I mentioned above, I would assume most advisors would rather spend their hours working directly with clients instead of data entry or managing their social media and e-mail lists. This relates again to the example of using Zapier to create client records in multiple systems. Besides tedious data entry, manually entering client or prospect data across multiple programs is prone to errors or other inconsistencies. Slight misspellings in a client name, an incorrect number in a birthdate, or even missing data are all errors that can happen from manual data entry. By automating the data entry using Zapier, you can ensure all the data is accurately copied between your systems (assuming it’s correct the first time it’s entered!). Back to my example of integrating an online scheduling tool with a CRM. By using Zapier, I can make sure any new prospect reaching out to me is automatically captured in my CRM. Do you have certain methods of qualifying your leads? For instance, you might build surveys or questionnaires using Typeform. You can use Zapier to capture these responses and automatically create records in Google Sheets for further analysis. In addition, if you work with a larger team, you can use Zapier to notify other members of your practice of new leads. Or, you can create Zaps to automatically follow-up (or remind you to follow-up) with prospects a certain number of days after a meeting. If there are certain blogs you like to follow, you can use Zapier to customize your own RSS feed. Instead of receiving multiple (distracting) notifications throughout the day, you can create a Zap to give you or your team. a daily digest of the content that really matters. You can also use Zapier to stay informed (i.e., stalk!) on your clients. If you have clients on Twitter, you can have Zapier send you an e-mail notification anytime your client is mentioned on Twitter. This could be useful if you have clients in the news often as this would provide some talking points for your next meeting! The pricing above reflects the price per month, but the plans are all billed annually. On the free plan, you are limited to 5 active Zaps at a time and up to 100 tasks each month. For example, if you had Zapier copy every e-mail you receive into Evernote, you would only get 100 of those e-mails copied on the free plan. Anytime a Zap is triggered is considered 1 task. Once you begin to upgrade through the paid plans, the number of Zaps and tasks you are allowed will increase. The Starter package gives you 20 Zaps and 1,000 tasks a month, the Professional package gives you 50 Zaps and 3,000 tasks a month, and so on. Another difference between the free and paid plans are the availability of “Premium Apps.” For instance, QuickBooks Online is considered a Premium App, so you would need to have a paid plan to create any Zaps with that program. You can find some more information on their pricing here; however, you can only see all of their pricing plans when you are logged in to your account. I would recommend starting with a free trial so you can explore all the available apps, and get a better idea of which pricing plan would work best in your practice. Your first step is to visit Zapier and get started with a free trial. Use the trial to explore all the various apps that are available. Try starting with your CRM. Once you log-in to Zapier, you will see a search box where you can type in the name of your CRM such as RedTail, Wealthbox, or Salesforce. 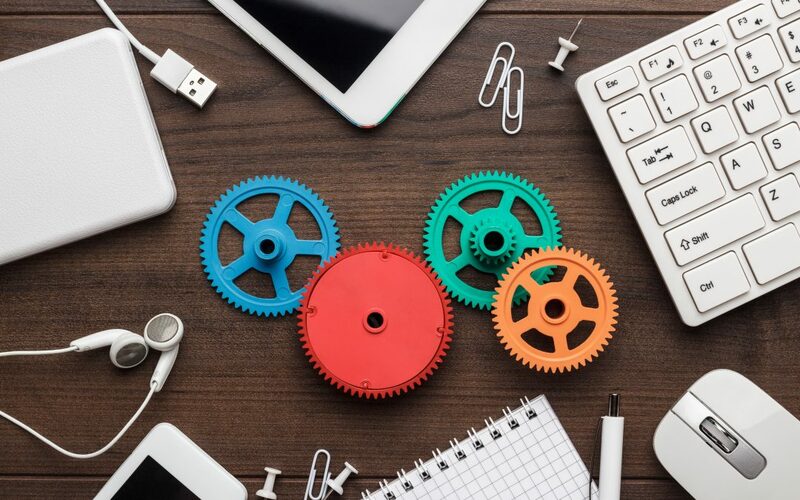 If your CRM is available, you can see a list of possible workflow ideas that you can use to get started with your automation. If you run software that does not have an integration with Zapier, you should contact that vendor and ask for them to connect with Zapier. They may already have plans to build an integration, or, if enough of their customers request it, they might explore the possibility. Playing around during your free trial might give you some ideas on how Zapier might be able to save some time in your practice. If you’re stuck, start taking notes of the tasks you do on a daily basis. Would life be easier if you could automate that task? You can also use the free plan to start with just one Zap to see how it helps. From there, you can explore other workflows. Do you use Zapier in your practice already? What processes have you automated to save time? Share your Zaps in the comments below!